» what is the best GUI, Time Setting, Book and Engine for 14 sec per move game? Can you see this poll? Forum Game: Who's That Character? Should We Allow Non-Video Game Characters in the Poll? Re: Forum Game: Who's That Character? What do you strive for? We currently have 2/3rds majority for allowing Non-Video Game characters. Should that be the final vote? I'd say the poll should close this evening. That will give any last moment voters a chance. No, I'll just close it at Midnight EST on Sunday, since I will be going to sleep around 9 PM PST on Sunday anyway. I am Groose lover of all things bacon! That looks like some sort of demented Zora. Mixed with that person in Bayonetta. I'll be closing the poll in the next 2 hours, so if you haven't already, place your vote! I gave any last minute voters a chance. That chance is gone. Goose, she/it looks almost inappropriate. Now Playing: Kid Icarus: Uprising, Fire Emblem Awakening, Gunman Clive, VVVVVV. I'm going to guess some weird monster thing. 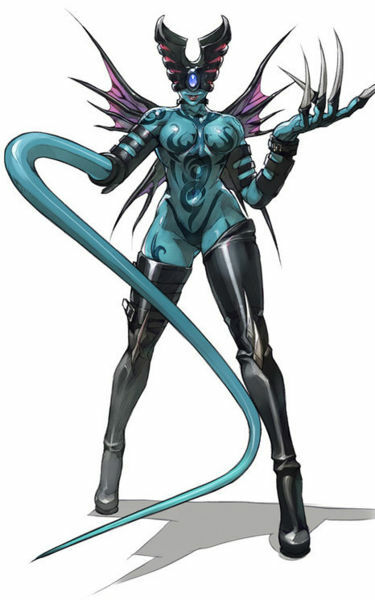 Since no one is getting it I'm just gonna post a new character, the last character was Ishtaros from ninja gaiden dragon sword. I believe that is Jasper Batt Jr. from No More Heroes 2. @Capn Pancakes you are correct! 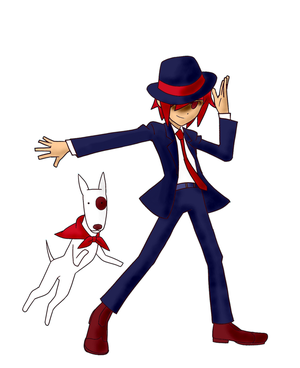 That's Phantom R and his trusty dog Fondue. Alright Ideal, show us a good one. Maybe this time I can answer it on time. Here's a fellow who's always in the Halloween spirit. I know a ton of you know her, but can any of you figure out her name without looking it up? That is Lisa Basil of course, from the chapter Recipe for turnabout in Phoenix Wright: Trials and Tribulations!